While Painted Blind gets a new look, I still have copies with the old cover. It’s Christmastime, so a giveaway is in order. You must live in the US to win. (Sorry, but postage is expensive.) The giveaway runs through December 13th. These would make great gifts, so enter today! If you know someone who would love these books, please feel free to share the link. The more entries the merrier! My girls read books so fast I can hardly keep up! I totally understand that! Thank you for stopping by, and good luck! Thank you for entering! Merry Christmas to you, too! Thanks for stopping by, Andrea! Best wishes in the giveaway & Merry Christmas! I’ll share this for you!! Happy Holidays…. Well, I think I entered correctly all the ways I know how. Your book looks really good…I hope I have a chance to read it!! Thanks for the fun giveaway! Thank you, Michelle. Best wishes in the giveaway and Merry Christmas! Both look delightful! I have added to my Goodreads list. Thank you for entering! Wishing you a very happy holiday season. I am so excited about your giveaway! 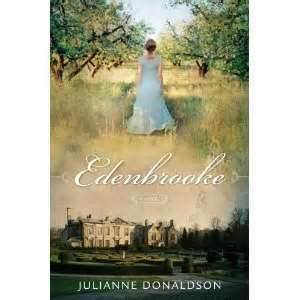 I’ve read Edenbrooke several times this year and look forward to reading your book too (now that I know about it)! I haven’t heard of your book before but I am a total fan of Edenbrooke and all of her writings. I am anxious to read yours. I am sorry not to have gotten this email quicker. The weekend is over I I didn’t get Painted Blind off of Amazon. I would have loved that. For some reason goodreads is slow sending some of us our e-mail updates and discussion. I have discovered there are several of us this happens to. Lu Ann, I emailed you. You still have time to get it FREE. I hope you get my message soon enough.